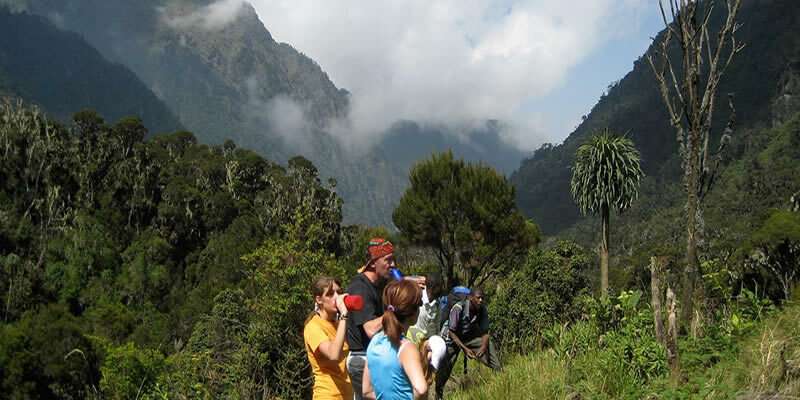 The Rwenzori Mountains are the biggest mountain range in Africa located in Southwestern Uganda along the Democratic Repulic of Congo border with the largest part of it standing at 2500m above sea level. 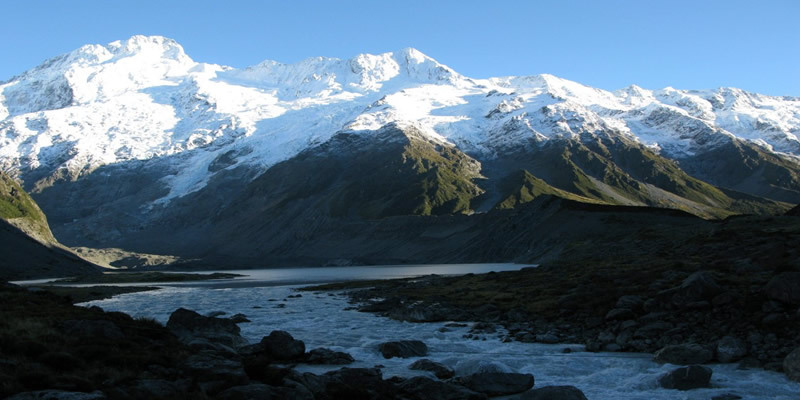 The snow covered Rwenzori Mountain – also known as the “mountains of the moon” is protected as Rwenzori Mountain National Park and is a World Heritage site. 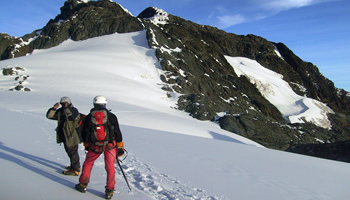 The Rwenzoris give climbers a rewarding world-class hiking and mountaineering experience any time of the year. The mist-shrouded peaks provide stunning backdrops to these magnificent mountains; including six main mountain peaks exceeding 4500m of altitude namely: Mt. Stanley, Mt. Speke, Mt. Baker, Mt. Gessi (on the Congo side), and Mt. Emin Pasha. Mt. Luigi di Savoia. These are found along the Uganda and Congo border. Our company representative will meet and greet you on arrival at Entebbe International Airport for transfer to your overnight accommodation. This night will be spent in Kampala or Entebbe depending on the time your flight arrives. Dinner and overnight accommodation in Kampala: Serena Hotel (High end lodge) or Cassia Lodge (Moderate facility) or Adonai Guest House(Budget facility). Depart Kampala early in the morning proceeding to Kasese with a stopover at the equator and lunch en route. This journey to Kasese is via Masaka, Mbarara, and Bushenyi with lots of beautiful scenery along the way. Dinner and overnight at Equator Snow Lodge (High end lodge) or Hotel Margherita in Kasese (Moderate facility) or Ruboni Community camp (Budget facility). Meal plan: breakfast, lunch, and dinner. Start the trek at Trekkers Hostel in Kyanjiki 12 kilometres from Kasese past Kilembe, by 8:30am the most preferable time to start off although 10:00am is acceptable. A walk of 2.2km takes you to Uganda Wildlife Authority ranger’s post at 1,727meters for a brief on the day’s activities and the rules of the National Park. 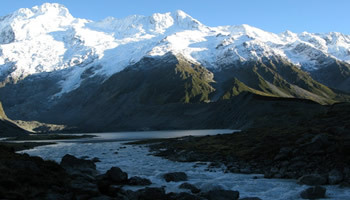 Today’s walk is 8.6 km and expected time 5 to 6 hours, start height 1,667 metres climbing to 3,171 metres. The first two kilometres steadily climb through pristine montane forest with tall trees thick undergrowth, and a multitude of different species of birds and primates. This is followed by a fairly strenuous climb up a main ridge with few rocks and firm footing except immediately after a heavy downpour.Today’s climb ends at Samalira Camp for your first night on the mountain. As you leave the rangers post you walk along a path through tall grassland and ferns which gives way to magnificent pristine forests. The vegetation here consists a wide variety of trees and plants that stand untouched because the route is relatively new. Many species of birds can be heard and seen in this rich environment. The first few kilometres’ climb steadily crosses several small streams and rivers before climbing the ridge. 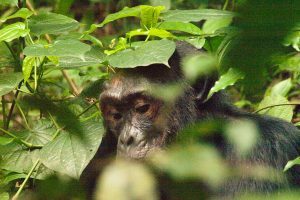 As we climb the trees become taller and straighter and it is common to see and hear many types of primates, including chimpanzee troupes echoing in the valleys. Today we have a lunch break at 2,570m with great chances of seeing troupes of 15 to 20 black and white Colobus monkeys and Blue monkeys as they dash through the trees. Today’s hike covers 6.9 kilometres in 4 to 5 hours. After a hearty breakfast we commence walking at 8:15am and climb steadily before crossing a small stream to start a steep climb for about 200 metres up a narrow moss covered ridge. The thick moss covering the ground and rocks under the giant heather trees is spectacular and you will be required to keep on the pathway to preserve this pristine environment. The views at this point give the impression of the possibility of flying across the many ridges and valleys far below. You can see Kilembe village deep in the valley and across Lake George. After a relatively short climb the trail becomes less steep as we pass over Chavumba (meaning heaven) at 3,316m, before crossing a small flat valley to climb up a steady ridge through moss covered trees and misty forests to the top of the ridge at 3,515 metres. Here we descend steadily for about one kilometre before descending a steep drop with good footing of 200 metres into the Nyamwamba valley for a well earned lunch break at Poly’s Rock Shelter at 3,249 metres. After lunch we climb steadily above the Nyamwamba River for 1.6km through old giant heather covered in old man’s beard moss to Kiharo Camp at 3,380 metres directly at the base of some good granite rock climbs of 20 to 40 metres, with towering peaks above. After an early breakfast in Kiharo Camp we climb a steep section passing around and through huge moss covered boulders. Now and then you might get a glimpse of the cliffs towering above as you move through thick forests of giant heather trees. The surroundings are evergreen as moss covers rocks and trees making it possibly the most beautiful section in the entire Rwenzori Mountains. After about 1km you pass below some high cliffs and beautiful open basins which were formally the final resting bed of huge glaciers melted millions of years ago. About three kilometres up the valley you turn left up a valley to Lake Nsuranja and cross to the top of a steep drop to Mutinda Rock Shelter, here you can stand on the edge of the cliffs and get excellent views of Mutinda Peaks before descending to the valley far below. You cross a fast flowing river then climb up to the shelter. Mutinda Rock Shelter is big enough for more than eighty people to sleep and offers a large dry area where you can relax and enjoy the unique atmosphere of the Rwenzori Mountains. 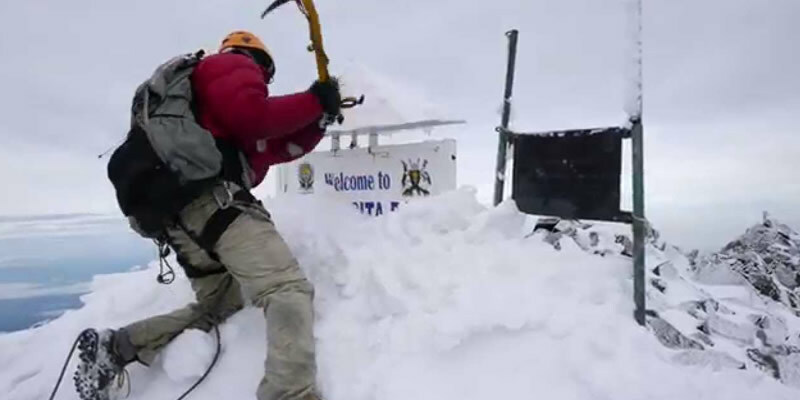 The distance from Mutinda to Kalalama Camp is 5.1km however before you descend you may climb up to Mutinda to a beautiful lookout at 3,975 metres and this climb takes about 45 minutes to one hour and about 30 minutes to descend. Mutinda lookout (see picture below) is the lowest and flattest of Mutinda Peaks, giving spectacular views of the mountain ranges,the foothills of Kasese town, Queen Elizabeth National Park and beyond, on any clear day. After enjoying the view and the unique atmosphere you descend to the rock shelter for a cup of tea and something to eat before continuing to Kalalama camp perched on a high ridge overlooking the Rwenzori foothills and Lake George. We descend down a series of rocky streams and valleys often passing along river beds or rock hopping our way down to Kalalama Camp 3,134 metres. This section is absolutely amazing as we hope across the moss covered rocks in this unique environment which is closed between huge cliffs creating a different micro-environment. As we near Kalalama Camp we pass though a beautiful flat valley dotted with about 150 Giant Lobelia. We descend down through the bamboo forests. Here we cross to the trail climbing to Samalira camp just above the lunch spot on day one. Here we have a short break before we walk the final distance through mountain montane forest to the Rangers Post at 1,727 metres. After debriefing, we sign off and walk down to Trekkers Hostel. Some fast walkers have descended to the rangers post by midday however the majority of people arrive at the rangers post around 3:pm. After a short debriefing, we sign off and walk 2 kilometers downward to the vehicle for transfer to our overnight accommodation to relax and recoup. Depart straight to Entebbe International Airport the next day for the evening flight home.